Animals Mini-puzzle pack made by Melissa&Doug, item number 14790. 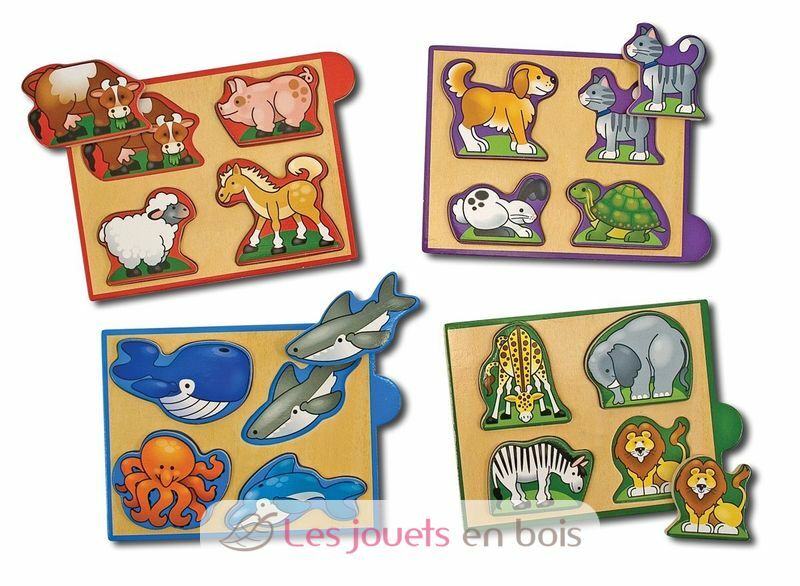 This wooden set of four, 4-piece wooden animals puzzles features raised pieces for easy grasping, and matching pictures under pieces. Slide out puzzle trays include color-coded organizer tabs to help find the right match and come in a compact, stay-closed travel case!